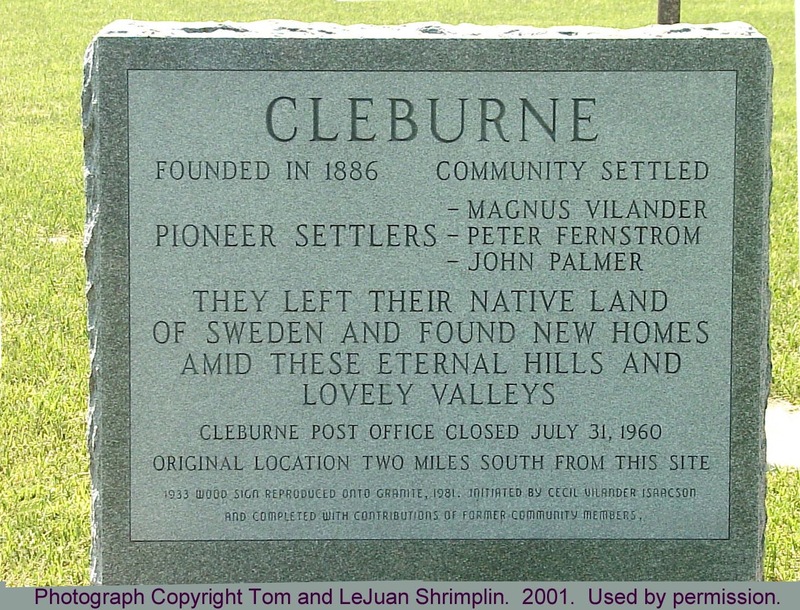 Historical Note: Bellegarde and Dial Wilder Cemeteries, originally located in Pottawatomie County and south of the town of Cleburne, were relocated together to a new site by the Corps of Engineers due to the construction of Tuttle Creek Reservoir. These two cemeteries are under the control of the Bellegarde Cemetery Association. In Dial Wilder cemetery, all 36 graves were mapped and relocated; the earliest burial was in 1861 and the last in 1928. In Bellegarde cemetery 223 graves were mapped and during relocation; 7 were not actually graves, remains were not found in one grave, and an additional 14 graves were located. 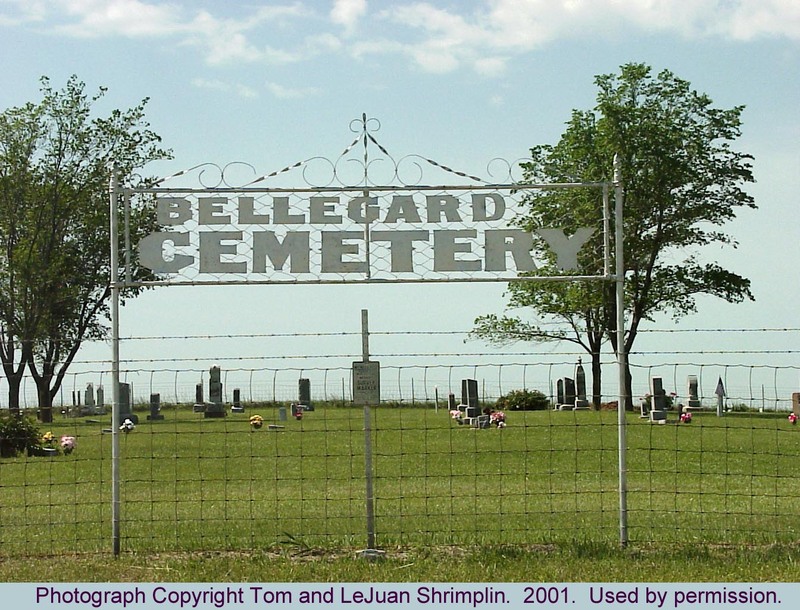 The earliest known burial in Bellegarde cemetery was in 1872 and the last in 1959. Directions: From Randolph, take Highway 77, north about 7.5 miles. Turn right (east) on Swede Creek Road, County 362E, 3.75 miles to Jct with 897N, turn left (north), continuing on Swede Creek Road a winding road, about 1.5 miles to Bellegarde Road. Turn right (east) onto Bellegarde Road. County 897N also turns onto Bellegarde Road. The cemetery is about .25 miles at the top of the hill on the right (south) side of the road. 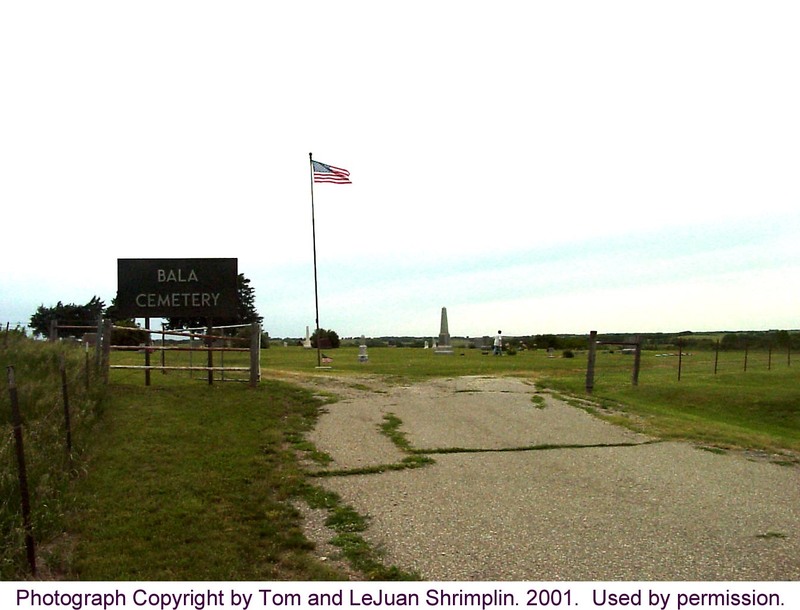 This cemetery was moved from Pottawatomie County during the construction of Tuttle Creek Dam.